Character LCD displays a monochrome text which can be alphanumeric. 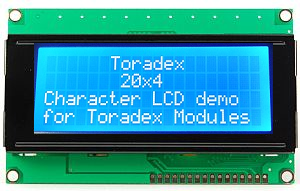 This tutorial demonstrates how to interface 20x4 character LCD with Toradex module using GPIOs. In this demo JHD204A LCD has been interfaced with Iris Board V1.1A. It is advisable to use 3.3V to 5V level translator if you want to interface 5V LCD, please note Colibri Module GPIOs are not 5V tolerant. 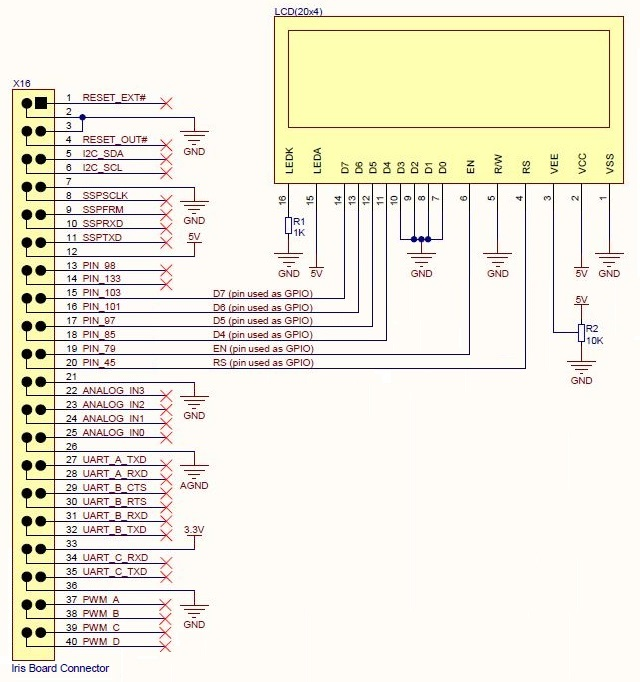 NOTE: Below mentioned examples can run on Colibri VF50/61 modules, for that you have to use Vybrid GPIO libraries available here. Download demo code from here. Navigate to My Device > Program Files > characterlcd_demo and run the application characterlcd_demo.exe. 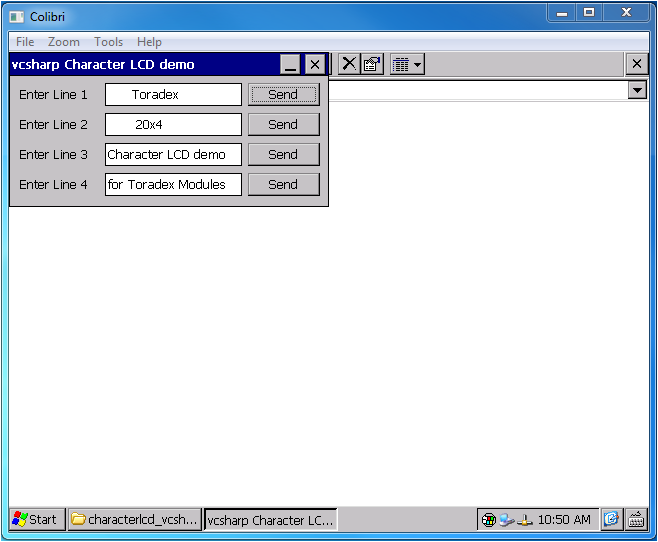 Go to My Device > Program Files > vcsharp_characterlcd_demo and run the application vcsharp_characterlcd_demo.exe. Following GUI will open. Enter characters to be displayed for each line in text boxes and click on send button.